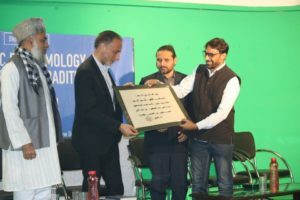 Eminent Islamic scholar and writer Tariq Ramadan exhorts the Muslim world to identify the factors which are eating away the Muslim community from within rather than lambasting external enemies or western countries responsible for its current hapless situation. 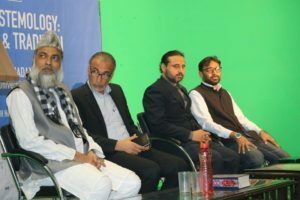 He specifically mentioned the factors such as sectarian divisions, inability to deal with diversity, repeating the past knowledge rather than creating new one relevant to the present time and imitating the western model of development. 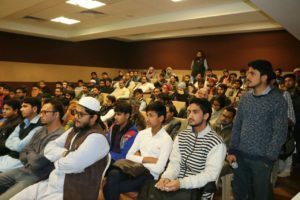 He was delivering a lecture on ‘Islamic Epistemology: Knowledge and Tradition’ hosted by Centre for Educational Research and Training (CERT) at Jamaat-e-Islami Hind headquarters in New Delhi on 29 December. 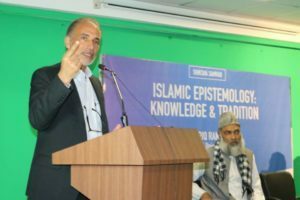 Speaking on Islamic epistemology, Ramadan, who is a professor at the Oxford University, said epistemology is all about the sources of knowledge. He further said that epistemology can be understood with three points: source of knowledge, methodology of getting knowledge and the worldview. In Islam, the knowledge of God is supreme but in order to gain the knowledge of God, you will have to ponder over the creation of the universe and human beings. He further said that when we talk about the Islamic sources of knowledge, it should not be limited to how we gather knowledge. But it must include why we want to gather knowledge and what is the goal of acquiring knowledge and education? If it is to serve humanity, it is fine. But if it is to make money or exploit fellow beings, it is not permitted in Islam. The source of knowledge must follow the worldview and principles. He furthermore said that the knowledge and study of the text must be contextual. The text of the Qur’ān and Sunnah is dynamic and relevant to every time but its application varies with time and place. We cannot apply some Islamic principle in the present time in the way it has been done in the past. Even we can’t apply it in the way it has been done in the present time in other countries like Saudi Arabia or Egypt. We will have to devise new methods and ways sitting well in the time and place. There are many people who keep repeating the past knowledge but they don’t make efforts to create new one. We will have to find the answers of the questions raised in modern times rather than relying on the past knowledge. Whatever scholars in the past created, they were relevant to their times. Press Conference by CERT against Higher Education Commission Bill at Press Club of India, New Delhi.